I was shocked that Lyn choose bone in pan fried pork chops for her free meal this week. I always loved the taste of pan fried pork chops and the added treat of a bone to munch on it was like a dessert for me. Maybe she had too many of these growing up but being a nice Jewish kid pork did not make it to our table that often, we were reformed reformed Jews. There is something about pork and winter that go together. 1. Whisk the glaze ingredients together in a small bowl; set aside. 2. Trim any excess fat from around chops until you only have about 1/8 inch of fat. Pat chops dry with a paper towel and generously season them with salt and pepper. 3. 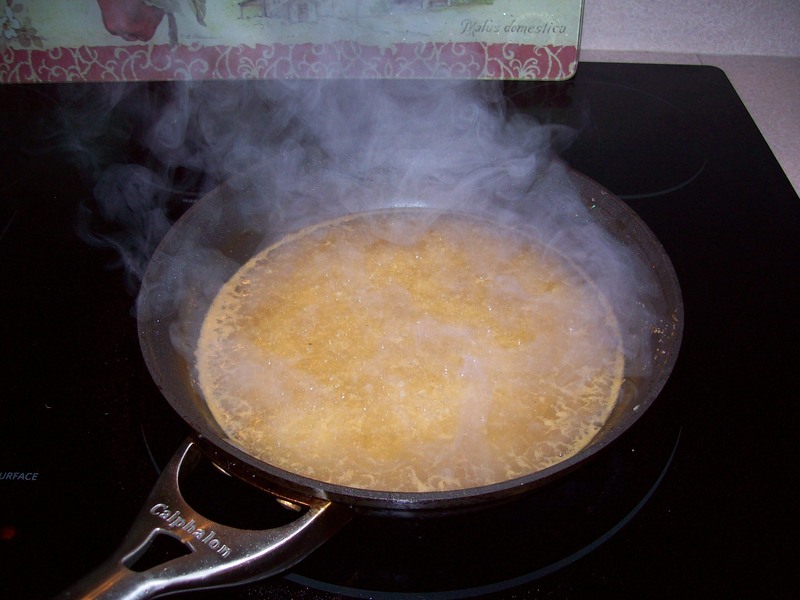 Heat oil in a heavy, 12-inch skillet over medium-high heat until oil starts to smoke. 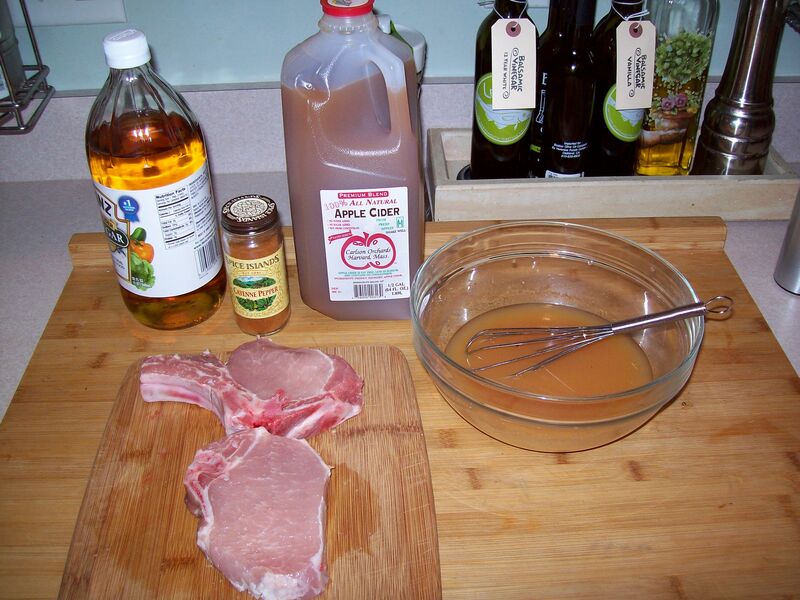 Add pork chops to the skillet and cook them until they are well-browned, about 3 minutes. Turn chops and cook 1 minute longer, then transfer them to a plate and pour off any fat in skillet. 4. Pour glaze into the skillet and bring it to a simmer. Cook until mixture thickens enough that your spatula leaves a trail when scraped across the pan, 2 to 4 minutes. 5. Return chops and any juices to the skillet; turn to coat both sides with glaze. Continue to cook over medium-high heat until the center of the chops registers 140 on an instant-read thermometer, about 5 minutes. Adjust seasonings to taste. 6. Serve chops with glaze drizzled over them and sprinkled with dill. Recipe adapted from “The Smitten Kitchen Cookbook” by Deb Perelman. 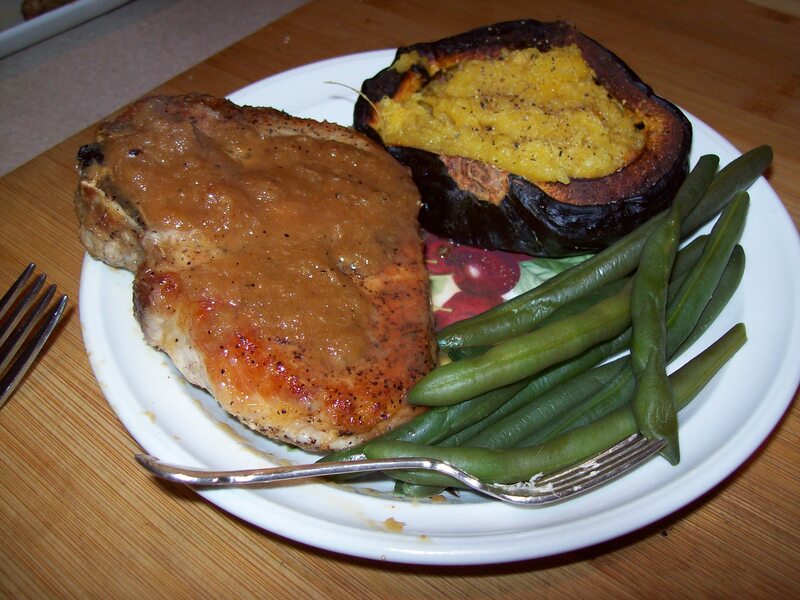 This entry was posted in Meat, Pork and tagged Black pepper, Cook, Olive oil, pork, Pork chop, Salt. Bookmark the permalink.